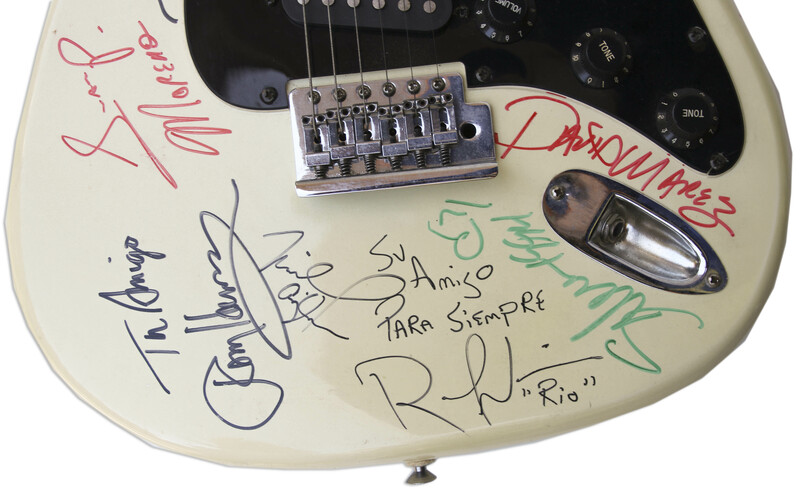 Selena Quintanilla-Perez signed electric guitar, signed ''Selena 1994'' in green marker by the superstar, who also draws a heart next to her name. 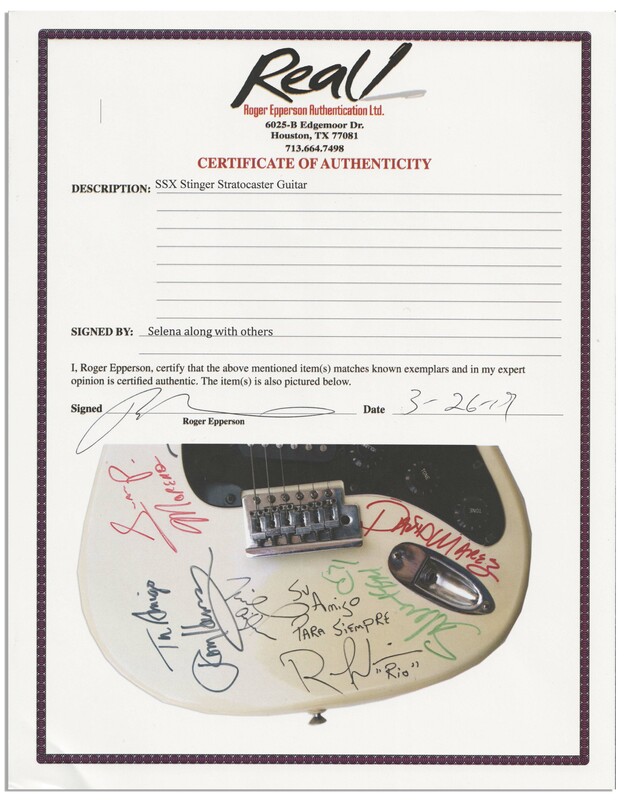 Signature was acquired in 1994 at the studios of KQQK, a Tejano music radio station in Houston. Yellow-cream Stinger-brand electric guitar is additionally signed by other Tejano musicians. A few small chips, overall in very good plus condition. With Roger Epperson COA for Selena's signature.